Is your data strategy compliant with the new GDPR regulations coming into force in May 2018? 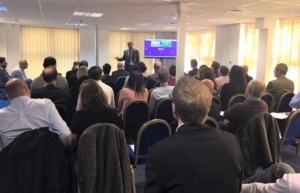 Held at the newly expanded Taurus premises, this morning seminar will provide an all-round view of the GDPR legislation and how it will impact your business. Taurus IT specialists will cover how to implement data management and data security recommendations. During the seminar there will be plenty of time for Q&As. Breakfast refreshments will be provided. To register, please fill in the form at the bottom of the page. West country-based Stephens Scown LLP is an award-winning legal firm with offices in Exeter, Truro and St Austell. It has over 270 staff, including more than 50 partners, and is one of the largest law firms in Devon and Cornwall, offering a broad range of expert business and personal legal services, as well as expertise in a number of key market sectors.